Apothne recently discussed the concept of flying cheaper, more engageable doctrines as a method of finding content. The idea is regularly used by many groups to good effect. In the article he discusses other play styles and praises my own to a high degree, inviting me to put forth an explanation of how I approach fleet setups and tactics. This is my effort to outline that playstyle in the context of roaming gangs. When you run a fleet you need to take into consideration your goals, your plans, and the environment. Ships have different capabilities, and most of the time different ships fill specific roles better than others. Although occasionally there is an imbalance where one ship is best at everything, such as the Ishtar after the HAC buff, normally you have to make choices. Sometimes the optimal choice is a cheap ship, sometimes it requires bling. The correct setup does not have to look weak, but it has to be well adapted to succeeding in the specific circumstances that it finds itself in. A Sentry Domi may be a good, cheap ship for defending a local POS, but it will not fare well as a vessel for raiding the Imperium staging system of 3V8. A blaster Taranis would be fine in 3V8 but it is useless for POS defense. Now, this contrast may be insultingly obvious, but these points hold the exact same relationship when we are talking about more minute distinctions in conditions. I am going to dive into these distinctions, but first let us take a moment to define our goal and our plan broadly. Our mission is to go roaming, with the goal of scoring killmails, and hopefully finding a fleet fight. In theory, we get to choose where we want to roam. In practice, the number of options is going to be limited by geography, and most of the time one possible location is going to be the best choice because that is where the targets are. When your choice is between Imperium space and the great emptiness, you do not really have a choice. A fisherman goes where the fish are. A roamer visits the spots that people are out in space. Let us assume you have found a nice little fishing pond. You then compare yourself to the other fish. There are two possibilities. Either you are in contention for being the biggest fish in the pond, or you are obviously a smaller fish than something else lurking in there. This only needs to be on average. The Imperium can show up with 1000 Tengus in four fleets anywhere they want. What are the odds that they will just for you? Tiny. You should be comparing yourself to the guys who live there and the guys who regularly visit. You also need to take timezone into account. The nature of a place changes a great deal from one to the next. If you are in contention for being the biggest fish this breaks down further. You either are absolutely the biggest fish, or you are of comparable strength to someone else. Either way, your strategy is similar. You want to put as many resources as you need to into being able to beat the other guys. Once you have comfortably achieved that you put the rest of your resources into tackle. So if you regularly experience 20 man HAC fleets in the area, what you really want is a 23 man HAC fleet and a bunch of interceptors or suitable tackle. You will beat the enemy fleets, and when they go to run you will catch them. Having more numbers is not the only way to win. Shipping to Machariels or Tech 3 cruisers while being slightly outnumbered by the HACs would be good enough. Bringing the exact same setup and flying it with more skill is a way to beat the enemy. You can even mix the tackle and damage role. If you expect a 20 man HAC fleet and you can field a 50 man Tech 3 destroyer fleet with scramblers then you are in good shape. It is mostly the same if you regularly experience 20 man HAC fleets in the area, and a 20 man HAC fleet is the best that you can put together. You put all your resources into that, accepting a weaker tackle wing. Try to fly better ships with more skill and try to get as many people to show up for fleet as possible. Do not worry, the fights will find you. 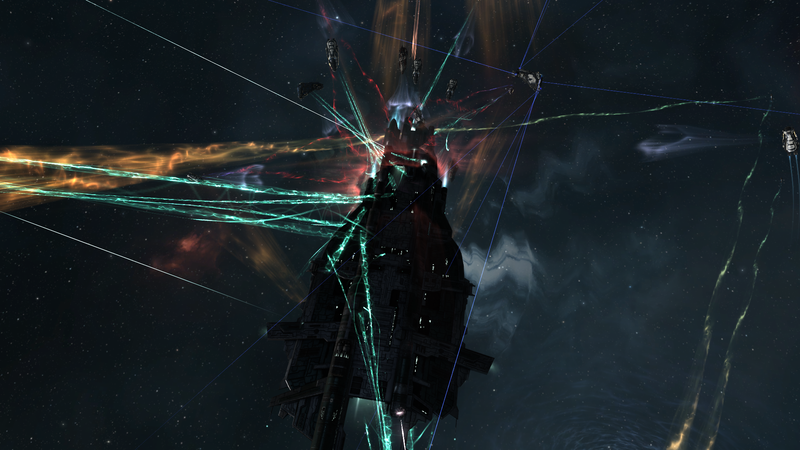 Those other HAC FCs will come after you, looking to turn your fleet members into killmails. If you prove yourself the stronger group you can then afford to invest in more tackle and go hunting. If your best turns out to not be good enough, the bad guys will pursue you even harder the next time and you will not suffer difficulty finding a fight. Your struggle will be to win. Note that the heaviest roaming fleet in an area may not be able to beat the locals when they all undock battleships or drop capitals. The roaming fleet should not have to. Heavy battle line doctrines tend to be slow and easy enough to evade. Dominixes are not known for their ability to run things down. On the other hand, if the locals can undock Machariels and nano around you should acknowledge that beforehand and count those Machariels as a possible enemy defensive roaming fleet. That would be the local big fish. Machariels and Tech 3 cruisers go 3 au/s and they more than qualify as a superheavy roaming gang. If you are roaming near your own staging and the bad guys want to escalate to full combat, that is a good time to call home for someone who wants to brawl them. Otherwise you try your best to win, and you get out when it makes sense. Many times bad guys make terrible mistakes. It is often worth poking someone and seeing if they are any good just so that you know. The cost of finding out is a few of your ships, which is nothing. Just because a fleet looks intimidating, it does not mean that it is. Sometimes you call the bluff. It keeps them honest and you look like a hero fighting outmanned and outgunned when you win. Often there is a temptation to fly heavier doctrines than are needed to win. Big displays of firepower are tremendously satisfying, but if the pilots are not needed to win the fights that will likely occur, they would be better off trading some of that strength for speed. Occasionally someone will say, “We roamed a bunch of RR armor battleships through some empty space and nobody wanted to fight us.” That is an example of a maladaptive decision. Battleships, that cover ground slowly and no one local wants to fight, do not create content. The dynamics of being a small fish are different. The first goal is not to get caught. The FC of this kind of fleet looks out at the environment he faces and determines how fast the big fish are going to be moving. Typically this will be the tech 3 cruiser fleets, the HACs, or the battleships, but sometimes you face off against CFC Harpies. Whatever the big fish are doing, the little fish who hope to remain are going to have to be able to evade. This can mean outrunning predators gate to gate. An assault frigate fleet is not going be caught by battleships. Any inties that run run ahead of the battleships will get hazed long before the battleships arrive. On the other hand, this can mean evading tackle on one grid, then hiding in a safespot until the predators get bored and go away. A Kitsune is a particularly good tool in this kind of work because it can jam bait and cyno ships. Being able to kill inties quickly as a small fish has a great deal of value. When the small fry is not having to dodge the big fish it gets to take bites. Small ships that are ideal for evading bad guys also tend to be very good at making tackles themselves. The goal is to grab straggles, gank solo pilots, and nibble everywhere you can. 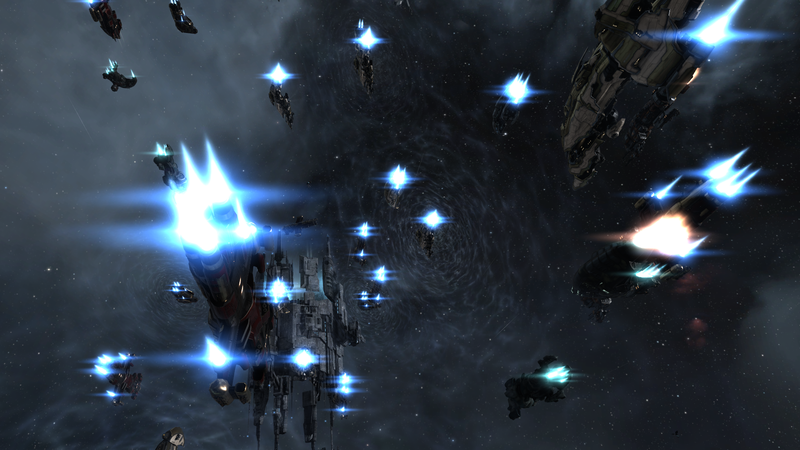 While ratters are easy to gank when you have numbers, your best wins are going to come from outplaying bigger fleets. Confident FCs often fail to protect their fleet from having stragglers ganked. Aligning on every gate and fleet warping takes effort and slows everything down. Other times the big fleets come after the small fleets but make a mistake and send their tackle and bait ships too far ahead without support arriving in time. In some of these situations skill is important. In other cases a small fleet can carefully minimize the risk they face. Alternatively, the smaller fish may find it is the bigger fish in a particular interaction. You could be roaming Providence in a 15 man fleet and find someone else roaming there with a 10 man fleet. Being able to switch modes as appropriate in a timely manner is a good skill to have. This also applies to big fish who have found an even bigger fish. Risk is a matter of fact for all fleets. The big fleet baiting the little fleet takes a risk that its bait ship will die too soon. The little fleet risks not killing the bait ship in time. Every time a sort of even fight happens there is a risk. Jumping a gate into an enemy fleet instead of waiting for them to jump into you is a risk. 100 NC. showing up in Proteuses is a risk. 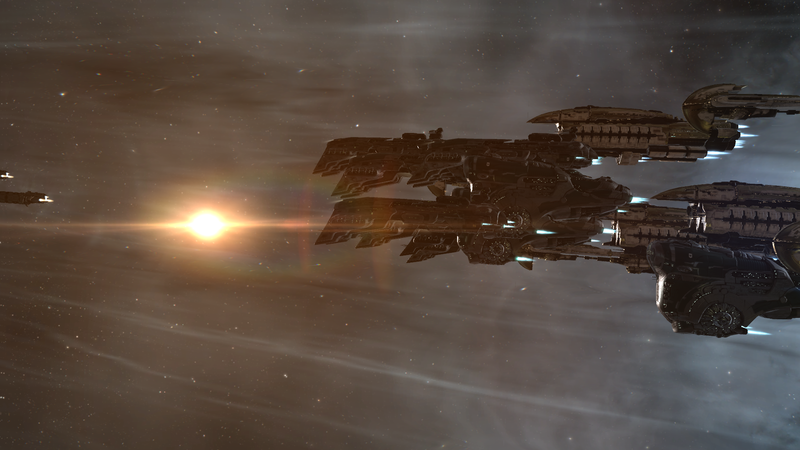 Roaming in EVE is a matter of risk management. It is a matter of bluffing. It is a matter of calling bluffs and knowing when to fold. The best player in the game will whelp on occasion. Sometimes newbies will hit the jackpot. Experience in roaming gangs, especially when they start interacting with each other, will tell an FC which risks he should take and which he should dodge. Often the FC with the stronger hand will have to take more risks if he wants a fight. The 100 man fleet has to jump into the 80 man fleet. The 30 man fleet has to chase the 20 man fleet. Sometimes people really do want to fight. You can just undock and they will come after you. I like to take a more aggressive stance than that. First you can go straight after the bad guy’s fleets. You ambush them. You bait them. You hit them hard and pin them down before they have a chance to retreat. Warp speed is more important than ever. However this is a matter of skill and experience. The other way you can make them fight you is by going after their stuff. 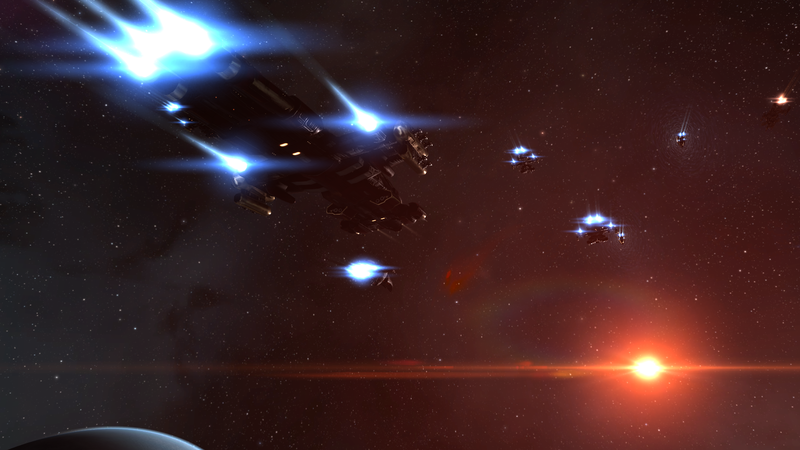 A roaming fleet can target the enemy’s ratters, travelers, stragglers, their infrastructure, and their sovereignty. I like the targets that generate killmails. If I go into your pocket and kill two or three ratting ships, it is going to make the locals unhappy. My guys will be having a good time and the baddies have the choice of letting me get away with it, or coming out to fight me. I used to love disabling enemy jump bridges before fatigue became a thing. It took some effort to tank and beat up a POS, but you were rewarded when the uninformed jumped through their bridge right to your fleet. People used to use jump bridges without scouts, having faith in the firepower of their POSes. As their leadership found out about what was going on, it made them more unhappy than almost anything else could. This activity tended to bring out response fleets quickly. But more recently, with jump bridges serving as fatigue dispensers, you may find more luck chasing ESS or using entosis links on sovereignty structures. Timing is also key. Some newbie FCs will go camp the enemy staging system forever. They just sit there, letting the defenders form as long as they need to. Then they get blobbed. Puting time pressure on the enemy forces them to field fleets you are more likely to beat. And when you encounter someone in the field, making decisions in the field faster than your enemy means you have a good chance of getting the outcome you want. For example, if you have made tackles before the enemy FC has decided that what he would really like to do is run away, then you are in a wonderful position. An FC can assemble a fleet of good ships, urge his pilots to fly with as much skill as possible, tryhard the game as much as he wants, and still find content. Aggressive playstyles work. It is a matter of interlocking optimization problems and repeated game theory interactions. Minus the business speech obfuscation, it is a matter of many small decisions that are fairly simple to work out on their own, all coming together. Experience and planning work great for this, in turn knowing the answer for each small problem as it arrives, and predicting the answer for the small problems that will arise. There are a number of traps that one can fall into on the way. I am particularly fond of focusing on only one doctrine when I would be better served by a mix. Too often I fight the last war and build doctrines that would have been excellent in the previous engagement but are maladapted to the environment I find myself in. I find myself building for the environment I wish I was in, rather than the one I actually have. I had a very hard time accepting the mass limitations of modern wormhole centric EVE travel, because I had recently proven to myself the superiority of battleships setup for roaming. Worst of all, I sometimes let the self definition of ‘roaming FC’ box me into certain activities when a real adaptive approach would deny being forced into a particular category simply because of a name. I am torn. On one hand revealing specifics in my approach may come back to bite me. Even if my ideas are not accurate, someone knowing my position would have an advantage over someone who does not. Of course the best game theory solutions still work great even when the other guy knows what you are doing. Also, people who do not like me (the guys I fight) will probably ignore me and many guys I come up against will not have bothered to see what I think. On the other hand, I worry that this description may not accurately convey concepts after Apothne gave me such an excellent set up. All we can do is our personal best.